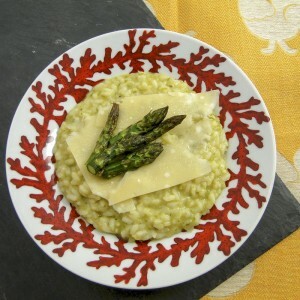 I developed this corn risotto recipe to serve with my XOXO Scallops for Valentine's Day. 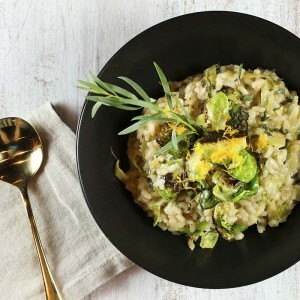 It is a vegetable-rich risotto that can be served with a variety of dishes. A lot of people are scared of risotto. The idea of standing by the stove stirring for 20 - 30 minutes literally freaks people out. My goal is to change your mind about making this creamy rice dish. 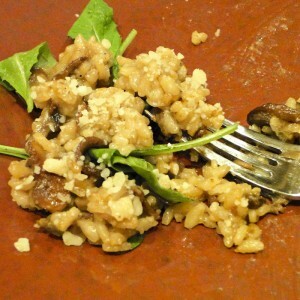 I have a great post on how to make risotto without a recipe. Once you understand the basics you can make risotto out of pretty much anything. Risotto is actually a great way to clean out the leftovers in the fridge. A handful of flavorings added to the rice is all you need. It really isn't hard and there is a kind of zen mindfulness that occurs as you stir the rice. It also helps that risotto requires a little wine. I like to pour a little for the rice and a little for me. It helps you move into that zen zone fairly quickly. I developed this recipe to use as a bed for my XOXO Prosciutto-Wrapped Scallops to serve for Valentine's Day. Scallops, bacon, corn and rice are a natural combination that I take up a notch with a little lime and red pepper flakes. 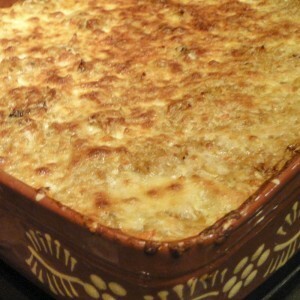 This rice dish would also be a great accompaniment for chicken or steak. Leftovers can be made into risotto cakes that are fried along with an egg for breakfast. Heat a large heavy bottomed pan, such as a Le Creuset Dutch oven over medium heat. Add 1 T oil and 1 T butter. Saute mushrooms until soft, about 4 minutes. Remove from pan and set aside. Add another tablespoon of butter and olive oil and when hot add leeks and garlic. Saute until soft, another 4 or so minutes. Add two cups of arborio or carnaroli rice and saute until the rice kernels are bright white in the center and translucent on the edges. Add 1/2 cup of white wine to the pot and stir until it is absorbed. Add 1/2 to 3/4 cup of chicken stock and stir until absorbed. Continue adding 1/2 to 3/4 cup of stock at a time, stirring until each cup is absorbed. This process will take about 20 minutes. When rice is almost done, meaning it is firm to the bite, but not hard, stop adding stock and add corn, red peppers, green onions, lime zest and lime juice. Stir in and add more stock if needed and continue stirring until you like the texture of the rice. Remove from the heat and beat in 1/4 to 1/2 cup grated parmesan cheese and two tablespoons of butter. Butter is optional, but does make your risotto extra tasty. Season with crushed red peppers and fresh ground pepper and serve. The traditional method for cooking risotto requires that you heat the stock in a separate pot before you begin ladling it into the rice. For this recipe I just poured it in from the container. This shortcut works fine. The downside is that when you add room temperature stock instead of hot stock to the rice, it slows down the cooking process a bit, and takes a little longer to absorb. On the plus side, you dirty one less pot and you don't have to wait for your stock to heat up. I'll leave it to you as to which method you use. 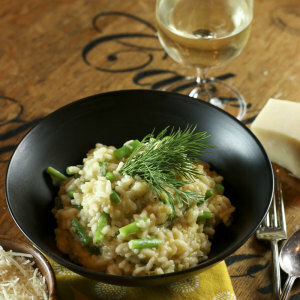 There are two styles of risotto -- one that is creamy and liquid to the point that it is almost pourable. The other is dryer and stickier. Risotto aficionados have very strong feelings about what is the "correct" method to make risotto. Originally, this had to do with what region of Italy you were from. Today it has to do with personal preference. My first attempt at making risotto and with the patience you described I got a delicious blend of flavors and a perfect compliment to the Prosciutto Wrapped Scallops. 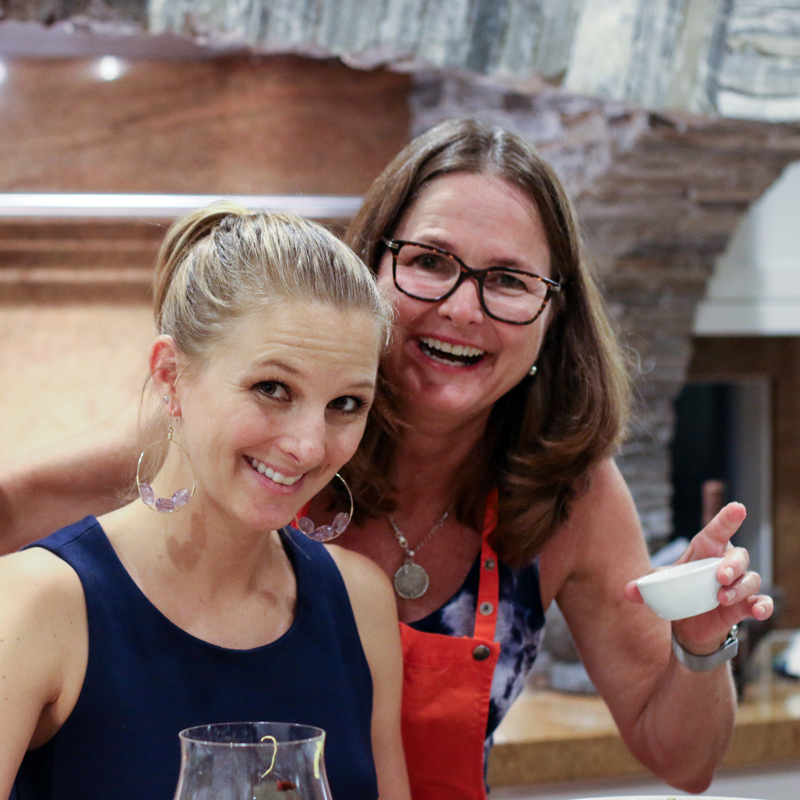 Thanks for providing the recipes for a great Valentine’s Dinner!